In American history there are two types of event: ordinary events which the information systems of the country can understand and establish. There are also deep events, or meta-events, which the mainstream information systems of the country cannot digest. I mean by a "deep event" an event in which it is clear from the outset that there are aspects which will not be dealt with in the mainstream media, and will be studied only by those so-called "conspiracy theorists" who specialize in deep history. If history is what is recorded, then deep history is the sum of events which tend to be officially obscured or even suppressed in traditional books and media. Important recent deep events include the political assassinations of the 1960s, Watergate, Iran-Contra, and now 9/11. All these deep events have involved what I call the deep state, that part of the state which is not publicly accountable, and pursues its goals by means which will not be approved by a public examination. The CIA (with its on-going relationships to drug-traffickers) is an obvious aspect of the deep state, but not the only one, perhaps not even the dirtiest. 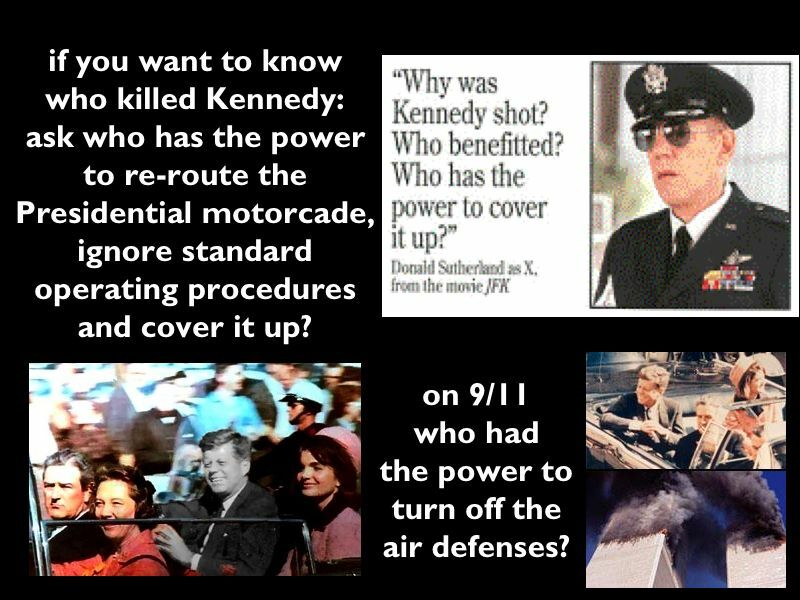 The study of these deep events has slowly become more respectable in the almost half-century since the JFK assassination. A major reason has been the emergence of the Internet and other forms of new media, where the same deep events tend to get far more extensive treatment. 4 If the new media come in time to prevail over the priorities of the old, it is possible that we will see a paradigm shift with respect to what is appropriate for serious public discourse. What I have learned over the years is that it is helpful to look at all these deep events together. This is true for both external reasons (how the nation and its media handle deep history) and for internal reasons (the content of deep events themselves).